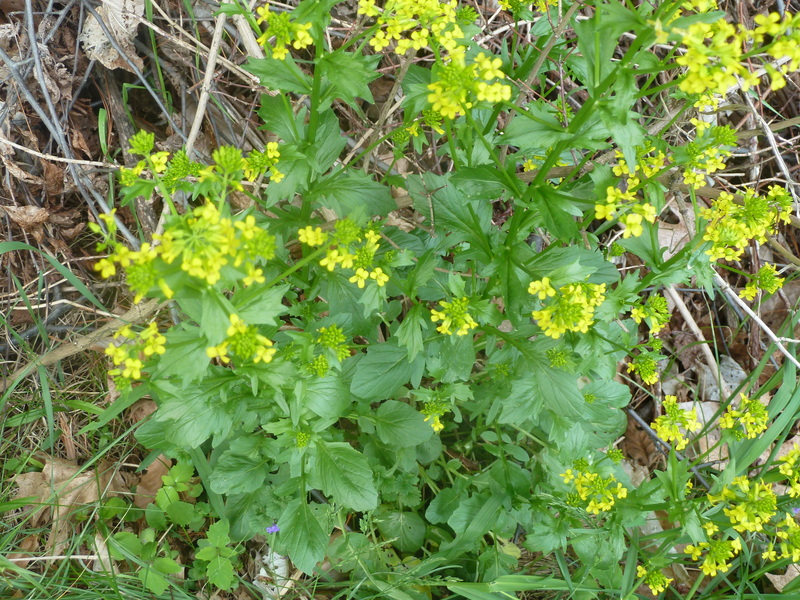 I’ve been eating the buds of the mustard plants that grow wild around here. When I have enough of them, I like to fry them up in a pan with a little olive oil and garlic. It’s kind of like eating teeny tiny spicy broccoli (which is in the mustard family). 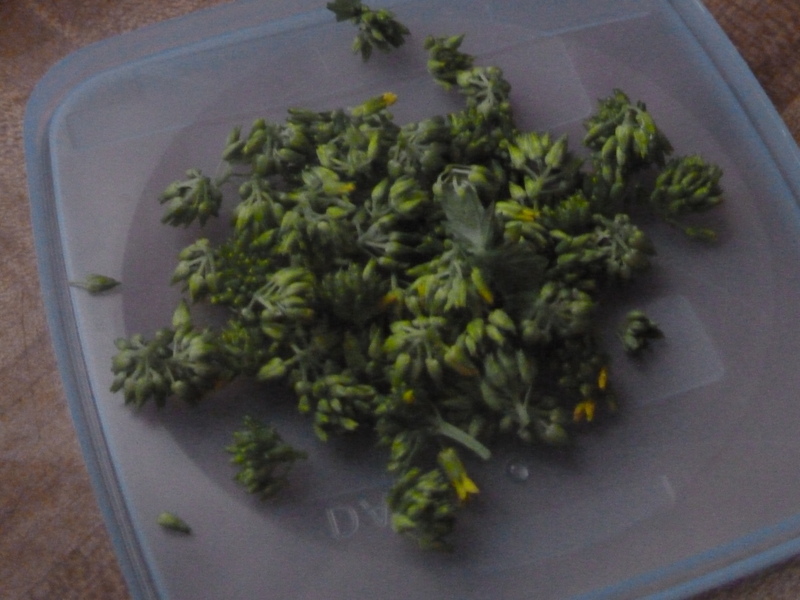 Since the buds are so teeny tiny, it isn’t always easy to get more than a handful unless you have a lot of patience. But a small amount can add a nice spiciness to a pot of cooked rice or a salad. 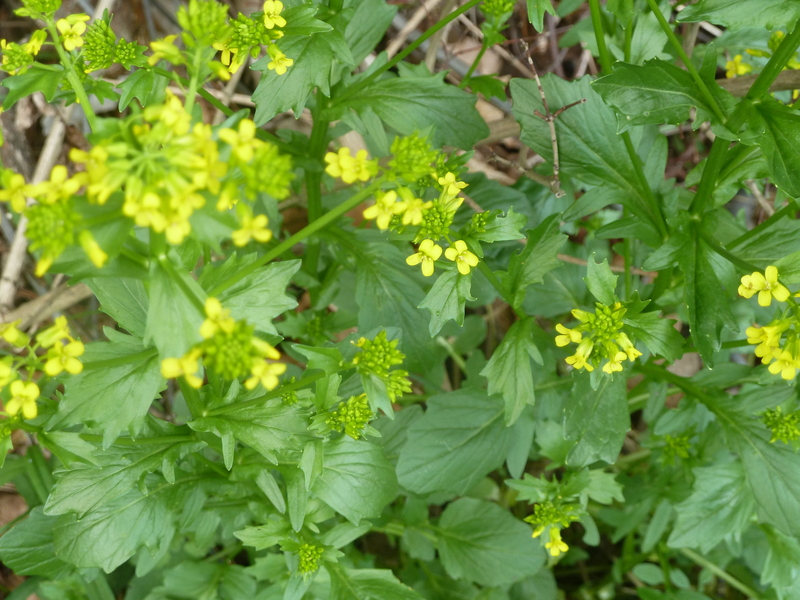 This entry was posted in wild foods and tagged mustard, wild foods. Bookmark the permalink. to say that I geet in fact enjoyed accxount your blopg posts.